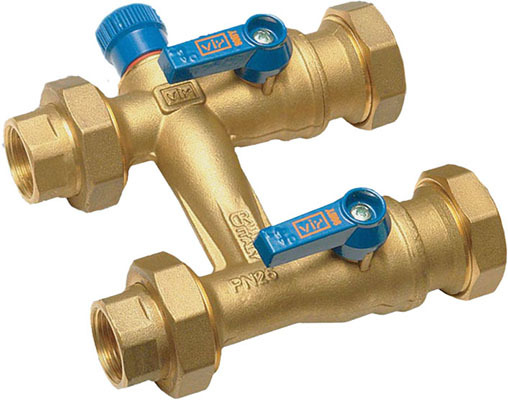 VIP undertook extensive research into ways of improving their successful 80mm design and developed the 40mm unit with marketing leading unique o ring sealed union ends both live side & unit ends, consequently allowing different configurations to be easily achieved. This also allows for an easier routine cleaning of the terminal unit independently from the line’s regular working conditions. 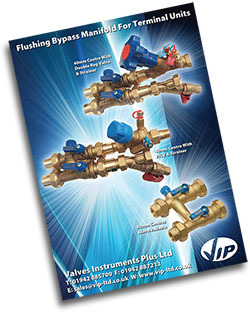 The key behind the success of the VIP Flushing Bypass Manifold For Terminal Unit is the simplicity of maintenance, the significantly lower risk of leaking, and most importantly the cost savings for on-site labour - all of which have made it a real hit in the marketplace. For further info please call our team on 01942 885700 or email us. Our team are happy to help with your enquiry. VIP carry all stock, meaning the Warrior Flushing Bypass Manifold For Terminal Units can be assembled and tested within 4 days. 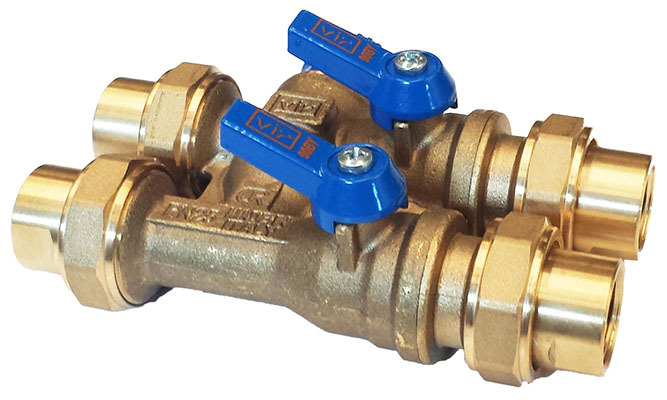 The VIP Warrior Manifold is available with 40mm centres (left image) or 80mm centres (middle image). For further info please call our team on 01942 885700 or email us. Our expert team are happy to help with your enquiry.